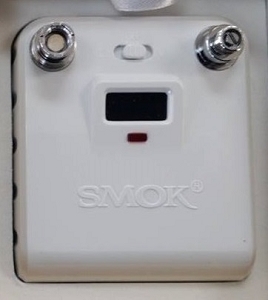 The Valkyrie is a hybrid mod, meaning there is no 510 connection. 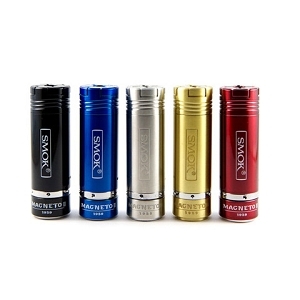 The atomizer is permanently attached to the rest of the mod so that the battery touches the positive contact directly, virtually eliminating voltage drop. Not only that, but the Valkyrie is a sleek-looking mod that's comfortable to hold no matter what size your hands are. 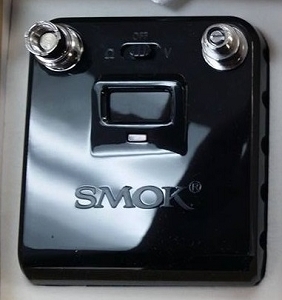 The top cap features adjustable airflow for single and dual coil builds. The switch is relatively firm, and is able to stand on its end without firing, yet is still easy to press. The reverse-threaded locking ring only requires one turn to lock and unlock! All the threading is buttery smooth. There is also an adjustable pin where the negative end of the battery rests on the switch, so any 18650 can be made to fit. 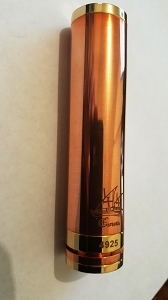 This is a 100% mechanical hybrid mod, and should only be used with IMR or high-drain batteries. 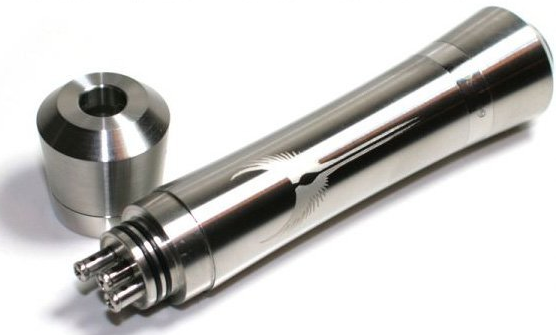 The atomizer portion features 3 posts, making it easy to build single or dual coils. The terminals can be tightened down with a phillips-head screwdriver. The building deck is smaller than some other drippers, but still has enough room for thick-wire builds. 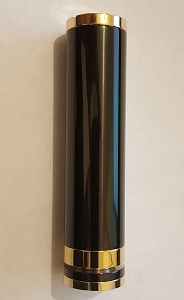 The top cap is held in place securely by two O-rings, and won't come off if you pick up the mod by holding the top cap. 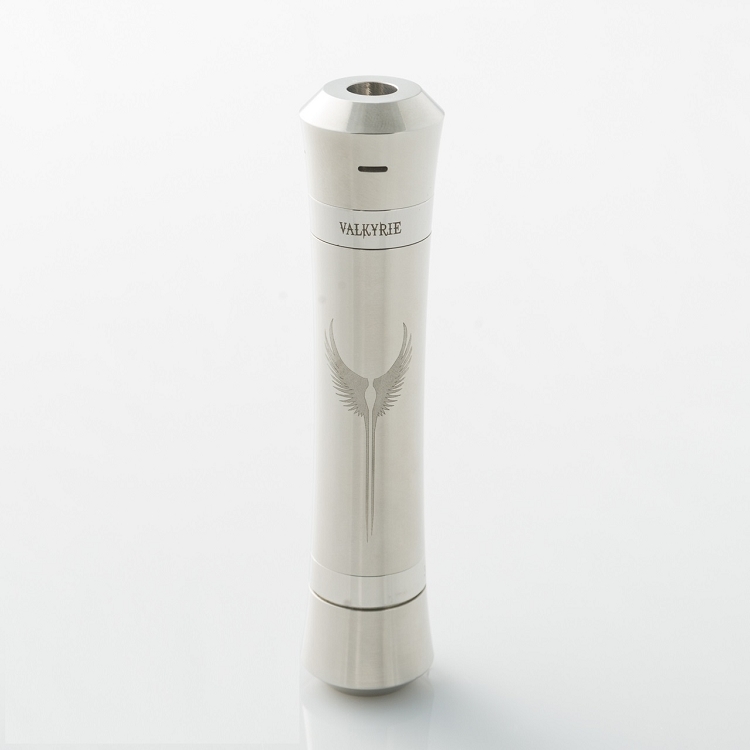 The EHPro Valkyrie is a gorgeous hybrid mod that hits extremely hard and looks great on display!